For several reasons, more healthcare organizations are considering vendor-neutral archive (VNA) options. First, greater demands for sharing images and other patient data among departments and facilities create a data management challenge. With medical images being used throughout the continuum of care, radiology may not be the logical place for the image archive. Increasingly, doctors outside radiology access images through electronic medical records (EMRs) rather than through PACS. Another reason for growing interest in VNAs is data ownership. Data migrations are costly and stressful; separating the image archive from the PACS can save money and sanity. Since VNA decisions are made on a significantly longer time horizon than PACS decisions, this approach not only reduces the size of the PACS solution but may allow organizations to exercise more negotiating leverage with PACS vendors. As medical image volumes grow exponentially, this will be an increasingly important factor. Many large organizations have adopted VNAs in the past few years, and more will follow suit. But it’s not clear how high the rate of adoption will go with smaller facilities. Although early adoption efforts typically reveal best practices and lower the entry price for VNA technology, many midsized and smaller facilities may not have the resources to implement a VNA. “The biggest obstacle to [broad] adoption of real VNA is that we’re going to run out of organizations that have two data centers and the experience to run that kind of a system,” says Michael Gray, principal of Gray Consulting. He estimates that putting together a complete VNA with mirrored data centers at two different sites may cost nearly three times as much as a simple dual-sited storage solution because of the cost of the VNA software license, the dual-hosted servers, and the associated professional services for deployment, data migration, and PACS interoperability. Many organizations will find it difficult, if not impossible, to cover a threefold increase for storage technology in a single budget year, no matter how many problems a VNA may solve. Gray says that as many as 80% of organizations that request VNA quotes will put off VNA implementation for one year or more due to a lack of resources. The catch is that during this time, they will continue to put their imaging data into a proprietary storage solution, increasing the cost of their next data migration. Rather than an all-or-nothing approach, Gray says organizations should consider a middle-ground solution that allows them to stage implementation of a VNA over two or three yearly budget cycles. 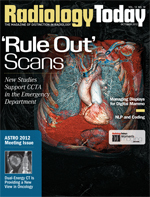 Much like the early days of PACS, when radiology departments implemented mini-PACS systems for CT, radiography, and other modalities with the intention of eventually linking them, Gray says a fractional approach to VNA implementation may help facilities that can’t afford the entire start-up cost. Although this approach is feasible, many organization leaders never consider it. Gray recommends that facilities on the VNA bubble ask potential vendors about this option. For example, Werb says customers who are already doing a data migration are in a good position to start preparing for a VNA. Because Acuo’s VNA software does the migration, the customer has already initiated a portion of the process—perhaps without realizing it. Taking the additional step of creating a redundant copy of the facility’s data and putting it in an independent storage solution provides the customer with an important VNA component. This step can be undertaken during a PACS switch or proactively. Gray says the best time to initiate a proactive data migration is when the PACS is nearing its third anniversary. Typically, the PACS’ storage volume is nearing its capacity at this point, and maintenance costs tend to rise significantly after the third year. Gray says an independent storage solution should be chosen from a list approved by the facility’s PACS vendor for use with its PACS. From that list, the customer should look for storage solutions that meet certain criteria, including compatibility with VNA architecture, support for multiple interface options, scalability, efficiency, and support for VNA functionality, such as the ability to duplicate data and store non-DICOM and nonimage data. Once the data are stored and protected, the organization can start thinking about how to use the data. There are several roles that data in this form can fill, such as disaster recovery, archiving, or image enabling through the electronic medical system with a universal viewer. At this point, the facility has the flexibility to decide how much of the VNA license it wants to use. The final phase then requires additional hardware and a mirrored secondary storage subsystem to make the VNA fully functional. Gray says the proactive approach has the added benefit of alleviating the pressure organizations are sure to feel when they can no longer avoid addressing their medical data situation. While a staged approach will help spread VNA technology, Gray says a potentially bigger enabler will be cloud services. A big hurdle for many facilities will be the secondary storage subsystem, however, not only because of the cost but because of the space it requires. As cloud services become more reliable, more facilities will look to them to solve IT problems. Gray says the facilities that don’t have space for the mirror systems and want to minimize the cost and time of implementation will turn to the cloud. Keeping the secondary storage subsystem in the cloud makes particular sense because it stores the data away from the facility, which helps to address HIPAA and HITECH Act guidelines as well as disaster recovery concerns. It also causes minimal strain on a facility’s IT infrastructure. Because archiving doesn’t require the same type of network speed as clinical viewing, the data can usually be sent over existing data pipes. It’s easier to scale up in the cloud than for a facility to add hardware on its own site, provided the secondary storage subsystem is implemented reliably and securely. Heere says the data center and bandwidth capacities are available to make the cloud infinitely scalable. He adds that there are more distribution options in the cloud, which makes image sharing among facilities more viable and has the potential to cut down on repeat imaging, reducing cost and patients’ radiation exposure. Heere says the goal is to use existing technology to its fullest capacity to solve data problems. With exam sizes growing, in some cases by a factor of 10, storage capacities within facilities will be squeezed, possibly affecting delivery of care. Since most archived studies aren’t needed for clinical use, storing them in the cloud frees space on local servers. In addition, there are less expensive VNA cloud options that may appeal to facilities. Although these options have less functionality than a full VNA because they’re often geared to maintaining a second copy of the data for disaster recovery, facilities with less IT capability or resources may look to the cloud if it saves them from hiring another full-time employee or adding duties to an already-overworked IT staff. The ability to pay for services on an as-needed basis also makes the financial part of the equation significantly more manageable. As cost models become more predictable, Gray thinks many facilities will use a hybrid of on-site and cloud VNAs. Werb says the hybrid configuration has many advantages. Because the VNA is often directly involved in enhancing a facility’s local workflow, it needs to run on the local network and directly interface with the clinical data-producing systems. A hybrid VNA allows a facility to run an on-premise VNA and can be integrated with the cloud to provide disaster recovery or even enterprise viewing and access. It may eventually be possible to purchase a fully functional, cloud-based VNA, but that will take time. Storing medical data in the cloud is one thing, but using it for clinical purposes is more of a challenge. The size and number of files in an archive can make it difficult to quickly retrieve files for clinical use. “When someone starts talking about putting more than just the second copy [of the data] in the cloud, then they are implying that there’s going to be bandwidth available to support day-to-day operations of data movement, and that’s a lot more expensive to do,” Gray says. One of the biggest barriers to completely cloud-based VNAs is diagnostic image display. Because PACS must access the lossless version of the image data set to display a diagnostic version of the images, data movement from the cloud back to the diagnostic PACS workstation is too slow for routine use unless the facility can afford an extremely large amount of bandwidth. But the growing trend of zero-client, server-side rendering display applications may solve that problem. In this model, the lossless version of the data stays at the data center, where it is processed in the rendering server, and only the result of that rendering process, in the form of an HTML download page, is downloaded to the user’s browser. This significantly cuts down on the bandwidth requirement to meet the user’s performance expectation. Although zero-client applications aren’t going to replace traditional workstations any time soon, Heere believes they will become increasingly popular. He also expects them to help drive adoption of VNAs. In remote rural areas, zero-client options may help mitigate a lack of available bandwidth. Heere says economies of scale also will help bring down the cost of VNAs. Gray agrees, saying technological advances are helping to lower VNAs’ cost as well. He expects that, down the road, 80% of VNA systems will have some components on site and some off site. Until then, healthcare organizations might want to consider other ways to separate the archiving function from their PACS.